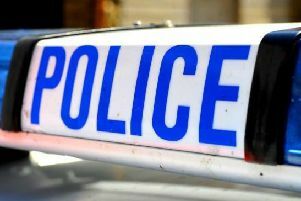 Robbers stole £50 from a bookmakers on Monday night. The two men entered Coral’s in London Road, Hemel Hempstead, at around 8.40pm. One of them approached the main counter and demanded money from the staff, while his accomplice remained by the door. After staff handed the money over the two men ran away down the service road that runs alongside the building and jumped over a fence. The first man is described as black, around 5ft 10ins tall, and of small build. He was wearing a black hooded top, black trousers, a black hat and gloves. He was carrying a bag and an object that was described as being similar to a firearm shape. The second man is described as black, around 5ft 10ins tall, and of medium build. He was also wearing a black hooded top. Police are appealing for anyone with information or who witnessed the incident to get in touch. Detective Constable Amy Tarver, from the Hemel Hempstead Local Crime Unit, said: “Thankfully no-one was injured during this incident but understandably it has left the staff shaken up. Anyone with any information is asked to contact Det Con Tarver via Hertfordshire Constabulary’s non-emergency number 101, quoting crime reference D1/15/5592. If you have any information about this incident you can contact the independent crime-fighting charity Crimestoppers anonymously on 0800 555 111 or through their Anonymous Online Form at www.crimestoppers-uk.org No personal details are taken, information cannot be traced or recorded and you will not go to court.